Imagine losing more than $660,000 in less than 30 seconds! In January 2014, a professional trader managed to do exactly that in HSBC’s stock by having a “fat finger” and failing to place an upper price limit on his or her trade. In that case, the trader could have likely avoided the losses by placing a limit order instead of a market order, thereby establishing a ceiling price on the trade. The boom in online brokers beginning in the 1990s opened the doors for individual traders, but with great power comes great responsibility, and traders should take the time to learn the basics. If professional traders make mistakes like these, individual traders are far from immune to potential disaster. Placing the wrong type of trade can lead to immediate losses and instant regret. In this article, we’ll take a look at various order types available to traders using online brokers, as well as some key things to watch out for when placing trades. Market orders are the most basic order type and simply execute an entire trade at prevailing market prices. Specifically, a market order will go through a security’s order book and execute the trade at the ask prices available. For example, a trader buying 1,000 shares of Microsoft Corporation’s stock might pay $25.32 for the first 500 shares and $25.34 for the next 500 shares, based on the ask prices. The problem with market orders is that the security’s quote may not accurately reflect the prevailing market price. Since quotes are based on the last successful trade, rather than the ask prices at any given time, traders may end up being quite a bit more or less than the security’s quoted price in what’s called slippage. This occurs most often in illiquid stocks, such as micro-cap, small-cap, or ADR securities. Limit orders are arguably the most common order type and work by simply executing a trade only at a certain price. When a trader places a limit order at, say $10.00, they will only pay $10.00 per share for that security. 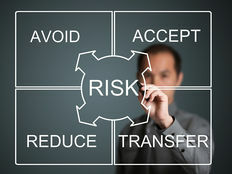 Many traders use limit orders in order to reduce the risks associated with slippage, which was described above as one of the key problems associated with market orders. The problem with limit orders stems from the availability of shares in the order book. If a trader places an order for 1,000 shares at $10.00 per share and there are only 500 shares available at that price, the trader may either receive a partial fill on the order (e.g. a 500 share purchase) or a failure to fill any shares at all, based on what they prefer when setting up the limit order. Stop orders are market (stop orders) or limit orders (stop limit orders) that are only processed if the market reaches a specific price. For example, a stop order to sell (stop loss) set at $10.00 for a stock trading at $15.00 would process a market order to sell when the stock price reached $10.00 per share. 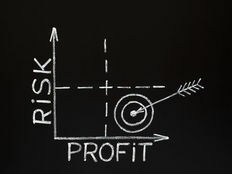 These types of trades are commonly used to limit risks by setting a price floor. Trailing stop orders are a type of stop loss order that is set at a defined percentage or dollar amount away from a stock’s current market price. For example, a trader may set a 10% trailing stop loss on a position trading at $10.00 per share. If the stock moved to $20.00, the trader would still own the shares, but if it dropped below $9.00 before moving to $20.00, a sell order would have been placed. Conditional orders enable traders to submit or cancel orders if certain criteria are met, which are defined by the trader when entering the order. For example, a trader looking at a breakout opportunity for a stock trading at $10.00 per share may only want to buy if a stock surpasses a certain trend line at $15.00 per share. A conditional order would enable a limit order to be placed at $16.00. Traders can either enter day orders that are automatically canceled at the end of the day or good ‘til canceled (“GTC”) orders that exist for 180 calendar days after they are placed or until executed. Often times, traders will place GTC orders when they are looking to automatically make trades that could take several days or weeks to reach the desirable price, removing the need to remember to check daily [see also 3 Ways To Exit A Profitable Trade]. As mentioned above, a key concern with limit orders are partial fills that create uncertainty. All-or-none (“AON”) orders ensure that the entire amount of an order is executable before making a trade at the limit price. 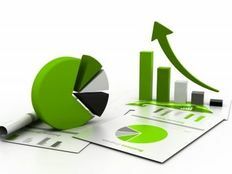 Traders often use AON orders to avoid partial fills and the complications that arise with them, including a non-desirable number of shares or a high number of transactions. Traders should be intimately familiar with the various types of orders before executing trades in order to avoid potentially catastrophic losses. In general, traders should use limit orders with the proper attributes in order to ensure that they are getting the prices and quantities that they were planning, but one size does not fit all and traders should consider their individual situations before deciding. Market orders are ideal when a trader needs to immediately buy or sell securities, although the amount they pay or receive may be vary. Limit orders are ideal when a trader wants to ensure they are getting specific prices for their securities, although they may have to wait awhile for it. The two basic order types can be combined with a number of order attributes in order to achieve specific goals.